Introduced in 1999, the Leadership in Energy and Environmental Design (LEED) Green Building Rating System helps building owners, developers, architects, engineers and general contractors improve the quality of their buildings and their impacts on the environment.LEED is an internationally recognized green building certification system providing third-party verification. The LEED program was design and built using strategies aimed at improving performance across the metrics that matter the most: energy savings, water efficiency, CO2 emissions reduction, improved indoor air quality, and stewardship of resources. LEED will work with all building types commercial to schools to residential. It works throughout the lifecycle of the building from design and construction, operations and the maintenance, tenant fit out, and significant retrofit. How can GreenWay Recycling Services Help? 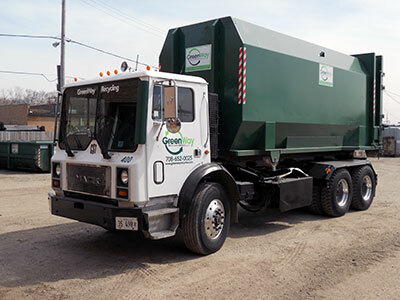 In Material & Resources credit 2 (MR2) GreenWay Recycling Services can design a program to achieve your projects specific goals. 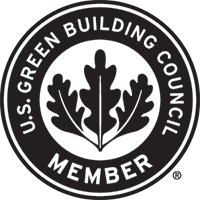 GreenWay Recycling Service can be instrumental in helping building owners, developers, architects, engineers, and general contractors who are seeking LEED certification on their projects. Identifying potentially recyclable project waste, including cardboard, metal, brick, acoustical tile, concrete, plastic, clean wood, glass, gypsum, wallboard, carpet, and insulation. Designating specific construction areas for segregated or commingled collection of recyclable materials. Diverting construction, demolition and land clearing debris from disposal in landfills and incinerators. Redirecting recyclables back into the manufacturing process. Redirecting reusable materials to appropriate sites. Helps in writing a Construction Waste Management Plan. LEED Green Associate on staff. Documenting and recording recycling and material reuse efforts throughout the construction or remodeling process. 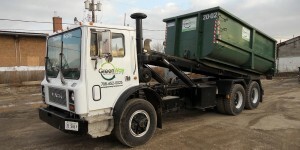 For more information on how GreenWay Recycling Services can help your next construction or remodeling project demonstrate its positive environmental impact though LEED Green Building certification, or to learn how you can enjoy the cost savings benefit of skillful recycling, give GreenWay a call at 773-522-0025. You can also contact us here.